If you are currently working as a day trader, there is no doubt that one of your highest priorities is increasing your daily ROI to the greatest extent that you possibly can. However, while the end objective may be quite obvious, the strategies you need to get there can sometimes be less clear. Regardless of your trading strategy, it will be important to select some call to action that will allow you to quickly decide when it is time to open a position. In other words, you should select an indicator (or multiple indicators) that will trigger a specific response from you as a trader. By knowing when, exactly, it makes sense to enter into a position, you will be much more likely to succeed. The “trigger” that makes the most sense for you will depend on many different variables. This will include your overall risk tolerance, the dynamics of your trading portfolio, and the number of trades that you are hoping to make per day. A day trader, for example, would likely have a very different strategy than someone who is only occasionally trading as a means to save for their retirement. In this article, we will discuss everything you need to know about day trading price action strategies. Price action, as the name might imply, is a strategy that specifically focuses on using an asset’s price to determine whether or not a position should be entered into (or out of). 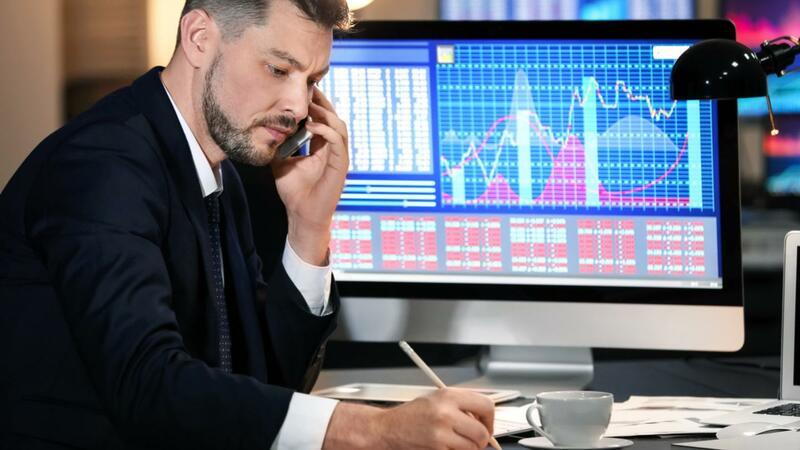 Though, as is the case with all approaches to trading, day trading price action strategies are certainly not without their faults, these strategies are an excellent option for traders needing to make quick decisions. What is a price action trading strategy? The simple definition of price action trading is any trading strategy that involves looking directly at the price movements of an asset and making trading decisions. The first thing that you are probably thinking is, “don’t all day traders do that?” The answer is both yes and no. Yes, the price of the underlying asset will almost always be considered during the course of trading. This is because the primary objective of trading is to enter into a position at a lower price than you exit it—consequently, ignoring price on either end will be quite foolish. However, there are still a few fundamental details that make price action trading strategies unique. Price action trading is different from other techniques in that it usually ignores secondary indicators that are often claimed to be “lagging” behind. Though price action traders may account for these indicators in addition to their underlying strategy, these indicators (such as RSI, MACD, and various others) are not the dominant focus. Price action traders may look for various different “triggers” including price swings, instances of resistance and support, and instances of consolidation. These price movements can begin to materialize—and consequently decompose—quite quickly, meaning that it will be important to be consistently paying close attention. What are the advantages of price action day trading? Price action is fairly dynamic, but there are several reasons why these strategies are particularly attractive to day traders. Recognized as one of the best day trading strategies in existence, price action trading has helped traders all around the world make quick, profitable trades. What markets are ideal for price action strategies? The principles of price action are universal. Traders will look at present movements and historical data and then determine whether they should enter into or exit out of a given trading position. Consequently, trading can be effectively implemented in a wide array of different financial markets. Because forex and stock trading are the securities that day traders typically exchange the most, these are probably the markets where you are most likely to find price action strategies being used. How can I improve my skills as a price action day trader? Price action day trading—while rooted in surprisingly simplistic principles—still requires a significant amount of skill in order to be successful. Fortunately, there are many different ways that you can begin to improve your trading techniques. The best way to become an expert day trader is with practice. Even if you are only using one or two different price charts, the sheer amount of information that these charts typically contain can often be quite overwhelming to new traders. If you are uncomfortable risking your valuable capital up front, you can run some simulated trials with “imaginary” funds in order to see which strategies are most effective. It will also be quite helpful to familiarize yourself with the price history of any security you are considering trading. Accounting for “asset-specific” forces such as changes in the industry, instances of extreme volatility, and others can help you avoid entrenching your portfolio in underperforming outliers. In addition to price, are there any other metrics that I should consider? Both the best thing and the worst thing about day trading with price action day is – that to the fact that they only focus on current price movements—these strategies are remarkably simplistic. Price action trading primarily involves looking at where the price of an asset is moving and deciding whether or not that movement ought to trigger a specific action. This makes it incredibly easy to make quick decisions, but there may be other forces at play that the trader is willingly ignoring. If time allows, it will often be beneficial to consider many different trading strategies at once. Keeping a close eye on other essential indicators will allow you to be significantly more confident with each of your trading decisions. These are just a few of the fundamental and technical analysis strategies that can allow you to get a more comprehensive view of the market. Price action day trading strategies can help you identify the best opportunities for you to quickly earn a return on your investment. With these strategies, it becomes possible to narrow your focus and make more precise decision. When carefully implemented alongside other indicators, these strategies can be especially effective.